Getting an accurate height measurement in dense areas of thick brush can be a challenge. With the Forestry Pro, all you need is a clear line of sight to the stem/trunk. The three point measuring system calculates the horizontal distance, then captures two other points to create an angle, and accurately calculates the height. Results are displayed on both internal and external LCD panels, with the external LCD displaying all results simultaneously. 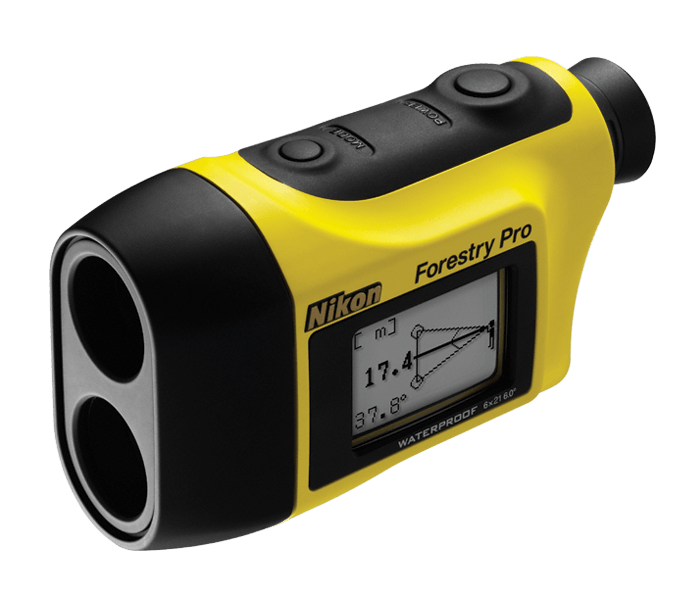 The ultimate forestry tool, this precision rangefinder/hypsometer provides incredibly accurate range, height and angle measurements at a fraction of other units. The Forestry Pro is Waterproof and Fogproof—which means nitrogen-filled and O-ring sealed (except the battery chamber)—so that even when nature is at its worst, this Nikon instrument will always be at its best.